In addition to daily denture cleaning, you may find the need for a denture-whitening product to help remove coffee, tea, berry or other stains. Particularly after prolonged use, dentures may need a thorough cleaning periodically to restore their pearly white luster. When mild soap isn’t enough to get your dentures clean, try a home remedy to whiten them. Three home remedies for whitening dentures are easy to prepare with items you probably have on hand. For each solution, soak dentures for 20 to 30 minutes, then rinse the dentures thoroughly. One simple remedy requires equal parts vinegar and water. Another solution is made up of one part bleach to 10 parts water. A teaspoon of calcium-chelating agent water softener can be added to the bleach water to help remove tartar buildup. Another easy solution includes 1 tsp. of baking soda stirred into 8 oz. of water. Consider the drawbacks of each home remedy before you decide to give them a try. Vinegar and baking soda solutions are not as effective as bleach at killing the microorganisms on dentures. Although bleach may be the most common homemade denture cleaner, the American Dental Association -- or ADA -- actually advises against its use because over time, bleach may whiten the pink portion of your dentures. 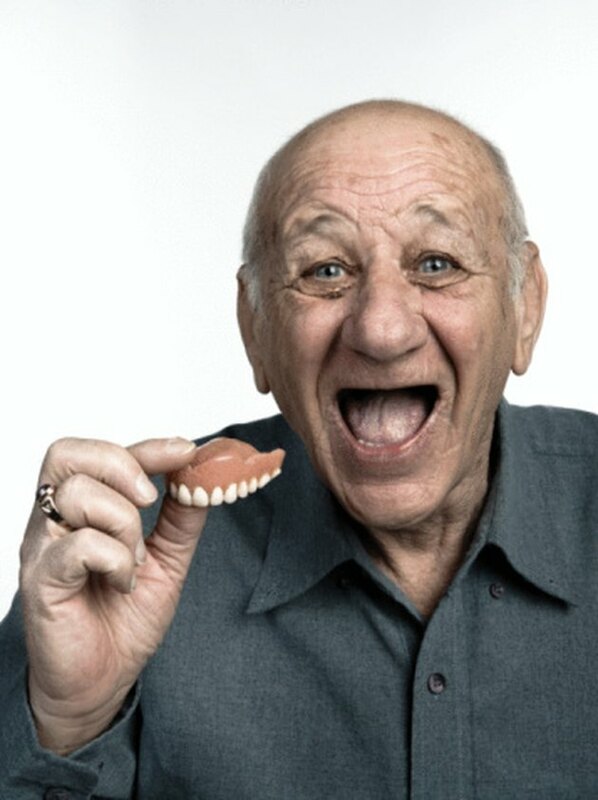 Even so, some denture-wearers think the white teeth are worth it. Make sure your home remedy doesn't damage your dentures. Avoid scrubbing dentures with any powdered household cleaner, including baking soda, recommends the ADA. The abrasiveness of such cleaners may scratch the surface of dentures. Baking soda dissolved in water, though, doesn’t create the same concern. Bleach or vinegar, meanwhile, may cause corrosion on the exposed metal in partial dentures. The best approach for cleaning dentures may be a multi-solution approach, according to Animated-Teeth.com. For occasional focused cleaning, you may want to use each of the denture whitening solutions in succession. Or consider rotating through the three homemade cleaning solutions, using one per day.